The Chapin 1-Gallon Poly Lawn and Garden sprayer is ideal for weed control, pest control and fertilizers. It features Chapin's unique in-tank anti-clog filter, for a clog-free, steady spray. An ergonomic pump handle makes pumping and carrying easy. 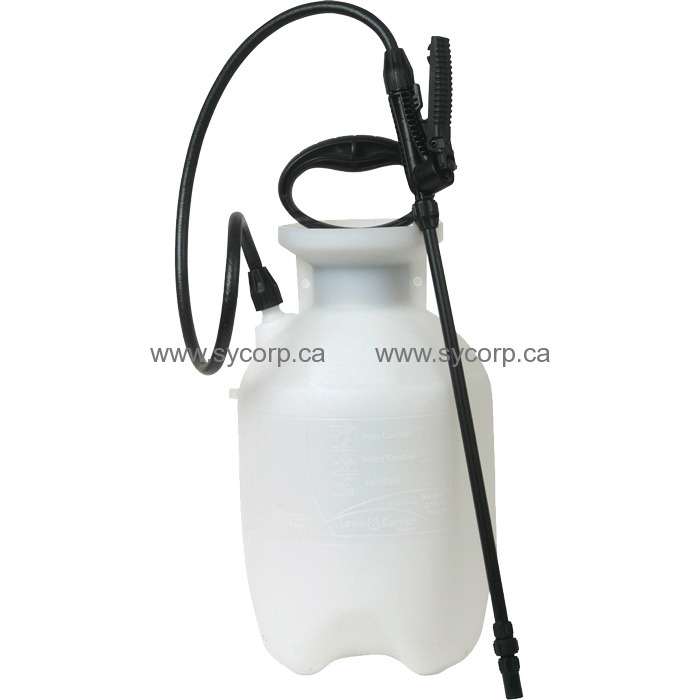 The lightweight, rust-free polyethylene tank is translucent so it's easy to check fluid levels.